A fresh start is a rare thing in fisheries management, and there’s plenty to indicate that the UK is ambitious in making the most of re-defining its approach to fisheries science and international relationships when it comes to our seas. We welcome innovative approaches to managing quota, such as the Government’s planned quota reserve, which will pool new quota potentially resulting from Brexit negotiations. This shows Government are switched on to the power of quota-based incentives to support best practice in sustainable fishing (as described in my previous blog on quota). Concerns remain, however that there is still an imbalance between large and small scale operators and that Government should do more to make quota available to smaller, low impact vessels. Additionally, understanding the need to balance quota and catches, particularly as a tool to implement the proposed UK Discard Ban, is a sign that the Government recognises the importance of policies that truly reflect conditions on, and in, the water. This will be a crucial principle for future fisheries management, especially as we observe stocks moving north under accelerated climate change. Research by the International Council for the Exploration of the Seas (ICES) already shows that 16 out of 21 key commercial stocks in the North-East Atlantic are moving outside of their traditional management areas. Of these 16, nine are showing extreme shifts in their geography. Under this scenario, we can forecast a greater number of stocks shifting north with species like squid, anchovy and even blue-fin tuna making a regular appearance in northern UK waters. These shifts can be a cause for concern, particularly given the growing misalignment between quota and catches at the EU and international level. The importance of getting management right is therefore crucial, otherwise we risk fishermen going over their allotted catch limits where they do not have – and cannot access – quota to cover their hauls. This scenario can undermine conservation efforts and must be brought centre stage as the UK develops new rules and ways to manage the fish within their waters. Whilst the White Paper states ‘as a dynamic industry, fisheries require a rapid and responsive regulatory procedure’, there is little mention of how the Government plans to achieve this. More joined-up, holistic thinking is therefore required to ensure that the Government’s plans – around innovative quota management and a recognition of the need for ‘science-based, principled and adaptive’ approaches – is firmly set in the context of climate change, and its effects on our seas. This means building management systems that can flex in line with changing environmental conditions, which requires Government to go further and bolder than what we see in the White Paper. What we need is an adaptive, flexible framework incorporating the right mix of ‘tools’ to achieve a holistic, ecosystem-based approach to fisheries management. 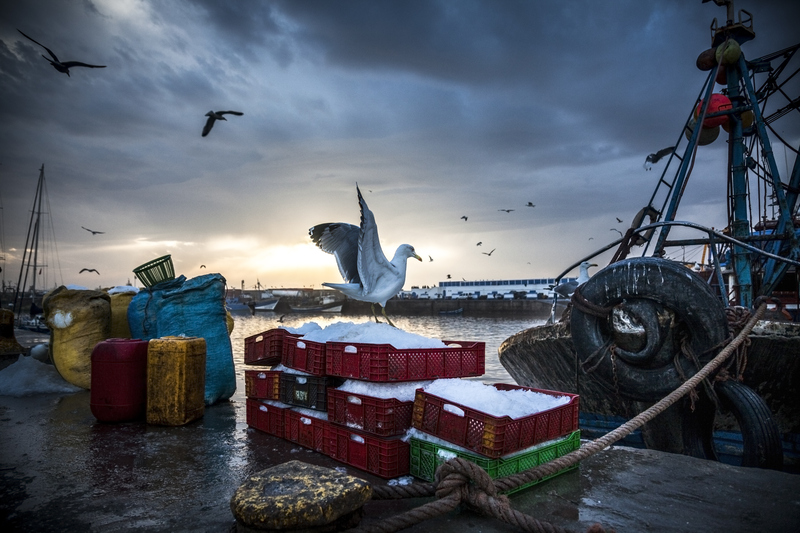 Such a framework should feature more fluid quota swaps (both annually and in-year), a move towards more responsive science, and a suite of arbitration rules that can help settle international fishing disputes and avoid the risk of further ‘fish wars’, particularly as stocks shift in and out of traditional management zones. A form of compensation could also be developed for those facing a worse outcome as a result of moving stocks – and hence a change to their historic quota shares. With this in mind, it’s great to see the Government’s commitment to being an active and collaborative partner in regional fisheries management organisations such as NEAFC (the North East Atlantic Fisheries Commission) – which are the right kinds of forums for these policies to be championed and developed across borders. As one of the only fishing nations in Europe with a potential opportunity for new beginnings, when it comes to fishing policy and practice, the UK is in a unique position and should be poised to confront the challenges ahead. We must build on the Government’s stated ambitions for innovation and collaboration, and lead where others can follow to ‘climate-proof’ fisheries for the generations to come. By understanding the mounting evidence, research and possible tools to counter climate change impacts on fisheries, the UK stands a chance of achieving its vision for ‘gold standard’ fisheries management, which can serve as an exemplar to other fishing nations both in Europe and beyond. This entry was posted in Europe, International, Policy and tagged UK fisheries, United Kingdom, White paper. Bookmark the permalink. Both comments and trackbacks are currently closed.